In the early years of life, we often have to wait for the brain and the body to mature. I think of it as a delay for development, not a developmental delay. Developmental plasticity is a key childhood advantage, but it takes time for both recovery and maturation. Learning to ride a bike is an incredibly difficult task for the young child. Very few three-year-olds can ride a bike without training wheels. 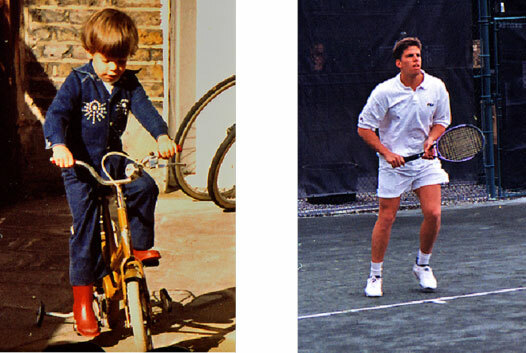 Years later, the same child, grown into an adult body and skill set, can play competitive tennis. Babies with an early brain or brachial plexus injury have all their skill acquisition further delayed by the time needed for recovery. Most have significant delays in the early years, but the second big burst of neuroplasticity during puberty offers a second chance to gain skills with a recovered, more mature brain. It is so important to stay “in the game” for the long haul. Remember, it is now an established scientific fact…human brains have neuroplasticity, defined as the ability to regrow new cells, repair damaged cells, rewire new connections and reallocate brain “real estate” to create or restore function. Each of these mechanisms has been demonstrated in both the normal and the aging adult brain. There is no logical reason to assume that the baby brain lacks neuroplasticity. In fact, all the data that is available from studies on the young brain, indicate that the baby has more neuroplasticity potential than an adult. The child with half a brain that I discuss in my TEDx talk is proof-positive that there is an amazing potential that we are not realizing with our current therapy interventions. Parents and clinicians together should be demanding more neuroplasticity-based research for babies and children at risk. The older child should never be discharged as “good enough” until their brains are fully mature and they have had the benefits of intensive training programs to maximize their potential. I am a proud member of the medical advisory board of Reaching for the Stars, a parent led organization that has a focus on Prevention, Treatment and Cure of Cerebral Palsy. They have started a petition with Change.org to urge the US Congress to fund cerebral palsy research. It is time for all of us to sign up and be counted. Please share this link with all your friends and family to show Congress that united we are a powerful lobby. All the children and adults with cerebral palsy have been neglected for far too long. It is time to move the entire field into the 21st century. Thank you for your help. There are 5,767 signatures on April 22, 2014. Let’s get it over 10,000 for starters!!! Mindset, The New Psychology Of Success by Carol S. Dweck, Ph.D.